The Not Friday Show is a fun show that's usually packed out. A few weeks back, I asked the producers (James Harris, Adam Pateman, and John Szeluga) if they had any secrets. 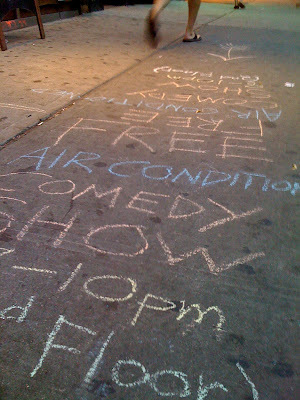 Adam mentioned that using chalk on the sidewalk (see pic above) has helped. So we started trying it at Hot Soup the past few weeks. And I'll be damned, it actually does pull in a few people at each show. What if it rains chalk? 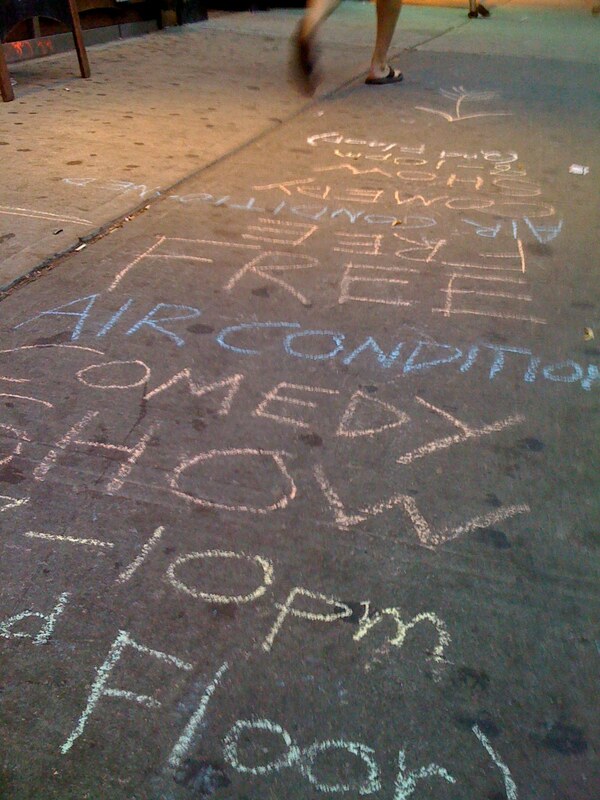 What if the sidewalk is made of chalk? What if it the sidewalk is made out of chalk and it rains sidewalk? I tested this out on Mish Mosh last night. Goddammit if it didn't bring in a few people!